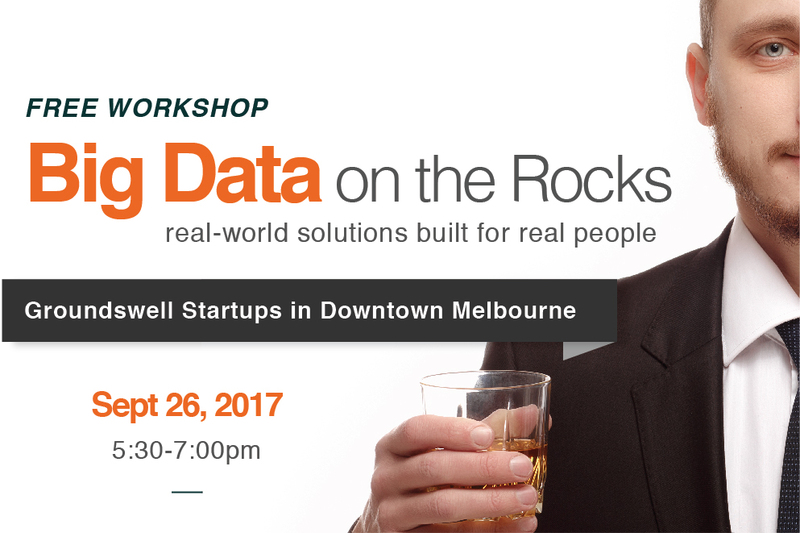 Anyone that is looking to trim the cost and the buzz words out of their existing data solutions dialogue will appreciate Daryl’s free “Big Data on the Rocks” series this Tuesday, Sept 26 at Groundswell Startups in Downtown Melbourne. The next session will feature a 45-minute introduction to "Apache Hive2". Data collected with Hive2 does not need to be reformatted or transformed. Explore just one of many methods used to “future proof” data architecture this Tuesday, Sept 26 at 5:30PM. Participating humans will explore the basics of using big data tools to better understand why humans behave the way they do online and offline. The next application will explore Apache Hive2.